What makes a truely great Golf Course? 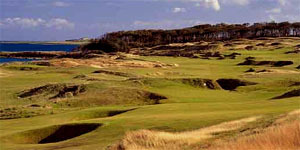 Good design, breathtaking scenery, good course condition, the right level of difficulty and outstanding off course facilities. 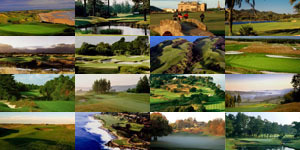 Here is our guide to some of the courses in the world where you can find all of these. The UAE is growing in reputation, establishing itself as one of the leading golf destinations in the world. The European PGA Tour tournaments held each year are the showcase to the world of the wonderful golf on offer in the Middle East. The world's oldest golf championship, has inspired generations of the world's elite, and is in no doubt due to the rugged links courses that host the event. Golf courses come in a huge variety of styles, from Scottish Links' to American styled Parklands, Ocean, Bushveld, Mouintain and Desert courses. 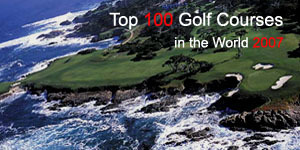 If your looking for the finest and most challenging golf courses you can find, then here is our guide to the 2007 Top 100 Golf Courses in the World. 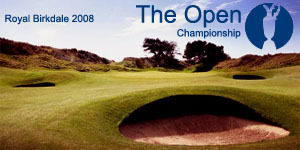 The content of this site is Copyright ©2007 Golf Course World.co.uk.